Why on earth would someone vent their dryer through the roof? 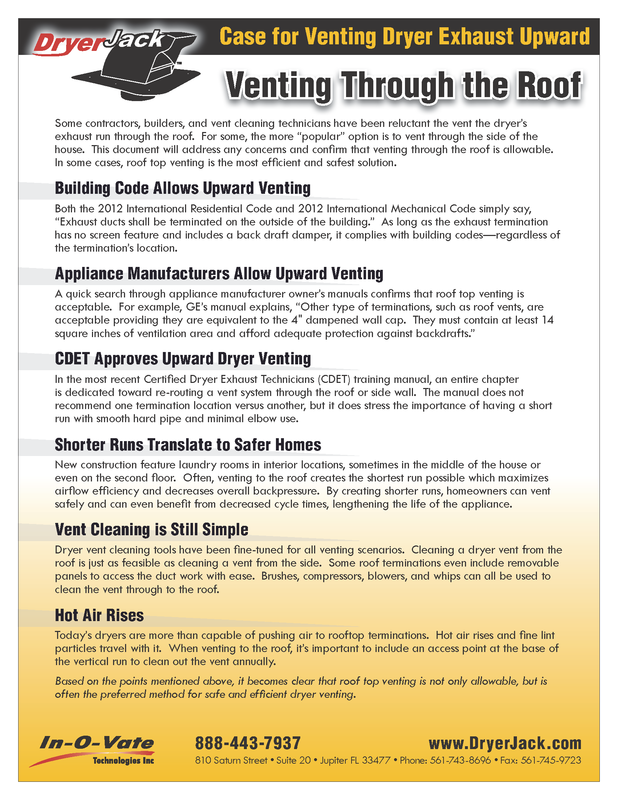 Unfortunately, there are some scenarios where roof venting is necessary and The DryerJack should be used for the termination. Some new construction doesn't allow for venting to external walls. These might be homes that are extremely close together. For homes with solid walls and concrete slabs, this may be the only option for ductwork. There is also a trend in new construction to locate the laundry room more centrally, closer to bedrooms, which means the only option is up. Some homes were not built to vent through the external wall. Older homes may already have a duct run that goes through the roof. If animals are around the house, they may become curious and tear wall venting apart or worse, small animals may gain entry. The DryerJack termination on the roof discourages ground-dwelling animals from destroying the vent cover. 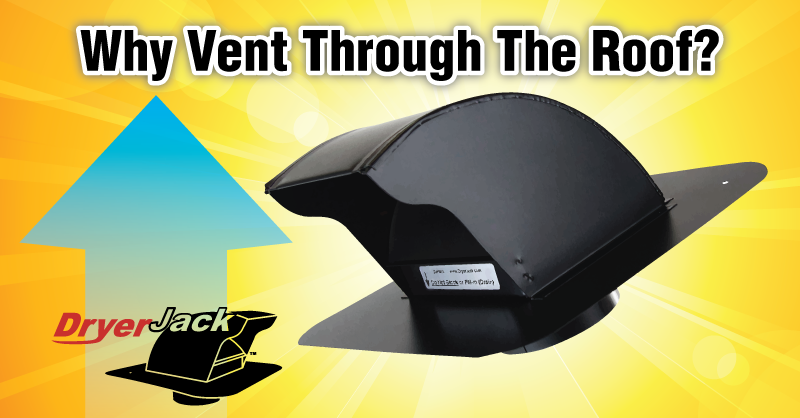 At less than 5 1/2" above the roof plane, it is also low-profile for minimal visibility. Some home designers create the need to vent upwards, rather than having a hole in the side of the home. Use our handy locator to find a supplier in your area or buy at BetterVenting.com.